SC4 and Beyond…! – Statcounter Blog. In the last few days we have completed conversion of all StatCounter projects to our new SC4 platform. We want to take this opportunity to thank you for your patience and support during the period of the conversion – it took much longer than we had wanted or expected so we are absolutely delighted that all members now have access to the improved features. 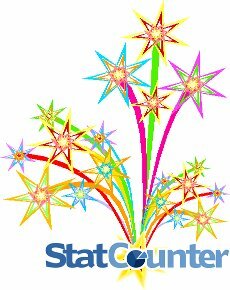 Is there a statistic or feature that you would like to see on StatCounter? If there was one thing you could change about StatCounter what would it be? Is there any way that we could make StatCounter easier to use? How could StatCounter be even more useful to you? If you have a bright idea, then please post it here! Any and all suggestions will be of great help to us in charting our way forward as we continue to strive to provide you, our members, with the best service we possibly can. the one feature I would like would be to be able to “hide” (somehow, a drilldown arrow, maybe?) my own activity from computers elsewhere in the house. The IP address that I’ve labeled “My upstairs mac” has a really, really long visitor path, and I am not at all interested in it. I’d like to be able to hit an arrow and condense it into just a bar, so I can get to the info I’m actually interested in. This feature already exists. You can block your IP from your stats by clicking the little wrench to the right or your project, then “Edit settings”. Your IP is shown in the text in the “IP blocking” section. Copy & paste this into the box provided and then click “Edit Project”. If somehow you can provide how many time a particular page / url (on the website) is clicked over a period of time, it would be great. This feature has recently been added. Go to “Popular pages” and then use the “Date selector”. If possible, please add a tracking feature that allows one to see how many visitors haved “added to favorite” the site once they visit it. Thanks! Sorry this is not possible. This operation is carried out in the browser and not associated with the site. You are awesome. I have 3 websites with your StatCounter on them and I am very pleased to be able to see where and who is opening my webaites and downloading info from them. I check it every week. You used to show when we were over 500, but I don’t see that any more. I Haven’t tried you new stuff yet, but intend to, so keep up the fantastic work. Thnaks for being free. I recommend you to many other websites.